Easter is a great day to host a party for kids. The weather is warming up and you can have an Easter egg hunt, play games, do crafts and share some great food. 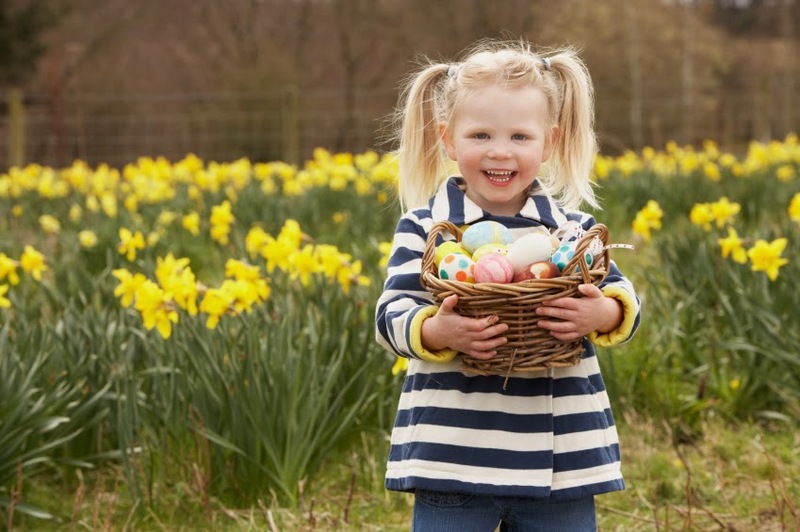 The following tips will help you plan the best Easter Party your child has ever seen. You want your house to look festive for your Easter party. Hang cutouts of colorful Easter eggs, bunnies and decorative crosses around your house. Gather some small tree branches and place them in a vase. Hang multi-colored eggs from the branches. Make it festive by spray painting the branches silver or gold. Set out some vases filled with colorful spring flowers as a reminder of renewal and rebirth. You should plan on having an Easter Basket for each child. Line them up on the table or a buffet and they can be part of your decorations. Personalize the baskets for each child. Put their name on their baskets with stick on letters or a name tag. Items to include in their baskets include small toys or candy. Help educate your family of Jesus’s love by adding in personalized gifts. Giving Christian items such as personalized crosses or prayer plates are very appropriate for an Easter basket. Instead of candy or prizes, put clues inside the eggs. These clues can lead to one larger prize. Use multiple colors of eggs and assign each kid their own color. Give a prize to the kid who finds all their eggs first. Hide some eggs with extra special prizes inside them. Mark these eggs with glitter or stickers. Another option is to have children decorate a wooden cross. Cover it with chicken wire, and then have everyone put flowers in the holes until it if full and blooming. You can also decorate small hand held ones with whatever art supplies – glitter, sequins, feathers, old magazines, crate paper, buttons; really anything you have around the house can work. While a traditional Easter meal may consist of lamb and asparagus, kids may prefer a simpler menu. An egg and cheese bake can be prepared ahead of time and simply reheated for the party. French toast is popular with kids. To make it special, cut out the bread first with a bunny cookie cutter. Cinnamon rolls or hot-cross buns will go with any Easter party menu. For desert, you can serve Easter cut-out cookies or a decorated Easter cake. Easter will be here before you know it. Start planning your party now and you will have the best Easter party ever. Let us know if you have any additional tips to add to our party planning! © 2013 TinyKeepsakes. Powered by Blogger.